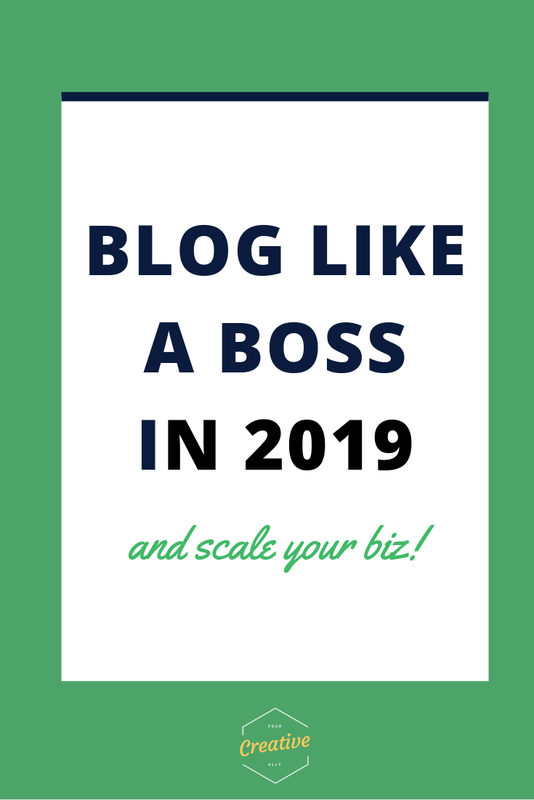 Blogging is the best way to grow your business in 2019. BLOGS ARE GREAT MARKETING TOOLS. With SEO and Pinterest, you can attract your target audience to your website through your blog. Think of a blog as a collection of articles. You can provide value and content that wins over your future customer, without the need for advertising! As the online landscape changes, there are fewer and fewer opportunities for free traffic, so please, take advantage of it while you can. BLOGS ARE GREAT REVENUE STREAMS. Dont get overly distracted by the shiny new online money-making idea. Courses. Podcasts. You name it! Ad Networks. There are many people who loathe this concept. However, there are still big names out there using ads on there blogs. A personal favorite of mine? James Clear! Sponsored Posts. Team up with a brand to have a sponsored post! You see this often on Instagram, but it is still very lucrative on blogs, because they can be indexed in search engines. Affilliate Marketing. You have favorite tools, right. For example, I love GetResponse. I use it for my own email list, and I then became an affiliate for them. Affiliate marketing is a way to use your influence, help your audience & make money! Win win win. BLOGS ARE GREAT WAYS TO BUILD YOUR BRAND. Your reader finds your blog. The reader finds great content, maybe reads more posts, and is hooked! Your reader opts in to your lead magnet. Your reader wants more from you. You offer them an AMAZING free bonus that’s only available on your email list. Your reader checks your emails! Now that y’all are inbox friends, your reader will tune into what you send, as long as its valuable and relevant. Resource Guides: Make a giant guide on a topic in your field and link to other professionals in your field. Interview Posts. Collaboration is key! Create a list of people you would like to interview for your blog. Let your interviewee know when the post is published, so they can share on their social platforms, too. Guest Blogs. Accept gust posts! This is a key to growing your content and it helps your guest to get a new audience reach. Want to write for Your Creative Ally? Pitch your guest post here! Niche Blog Posts. You may have heard lately that the riches are in the niches. With a flood of online content, if you can narrow down into a niche, you’re likely to thrive! Multimedia Content. Get creative! Embed video content into your posts. Embed your podcasts into your post. You can even embed your social media content. Ready to get blogging? Grab a copy of my Blog Title Template Master List and get writing!